Abe MezrichApril 23, 2015Yeshiva U.
I remember Rav Aharon Lichtenstein often retelling the passage from the Talmud of Rabbi Yochanan ben Zakai’s death. The sage’s students surrounded him on his deathbed and asked for a blessing. Rabbi Yochanan ben Zakai’s odd response is this: May you fear God as much as you fear man. Shouldn’t we fear God much more? the students asked. If only that much, Rabbi Yochanan ben Zakai replies. After all, God sees all sins; and yet a sinner’s first thought is: I hope no man sees me. Sometime in my time at Yeshivat Har Etzion, the yeshiva that Rav Aharon co-led from 1971 until his retirement in 2008, it dawned on me just how much this episode guided his life. For Rav Aharon, who died April 20 at the age of 81, a life of God was not a lofty journey to the unknown. It was, in a way, an act of much greater faith. It was the perception of God in our real world, and living a religious existence as real as your tangible one. And so he demanded we pay as much heed to our religious duties as we would, later, to our employers. He spoke of the Days of Awe as stressful, as you would speak of a stressful job. When ultra-Orthodox circles viewed military duty as a spiritual degradation, Rav Lichtenstein viewed Israeli service military as something pragmatically spiritual: it is a chesed, he wrote, the kindness of protecting your fellow Jew. Religious life is real, real life is religious. This groundedness guided Rav Aharon’s religious humanity. After Jews decimated a mosque in an Arab village, Rav Lichtenstein joined a small delegation of rabbis delivering Korans to that Muslim community. In an interview with the Jerusalem post, Rav Aharon called the destruction of the Mosque “frightful…terrible both morally and religiously.” In a lengthy argument against rabbis forbidding the sale of Jewish homes to Arabs in Israel, as some prominent rabbis had called for, Rav Aharon wrote: “We…remain committed to our belief and desire ‘to proclaim that God is upright, my rock in whom there is no wrong.’” For Rav Aharon, to be religious started with being moral; to be Godlike was to bear deep respect for the others around you. That respect was extended to Jews as well. Rav Aharon disagreed sharply with Haredi circles on several fronts—to name a few: his belief in secular study as a religious opportunity (he held a PhD in English literature from Harvard); his belief that traditionally observant soldiers should fight in the Israeli army; his firm belief that women should study Talmud at the same level of scholarship as men (Yeshivat Har Etzion’s sister institution, Migdal Oz, was established on that premise). And yet Rav Aharon was quick to speak highly of the earnestness of the Haredi lifestyle and of the brilliant thinking that it produced. In his straightforwardness, Rav Aharon saw obligations as obvious, as the default way of living life. When once asked how he had time to study with his own children, Rav Aharon (in his words) looked at the questioner as if the man had fallen from the moon. He told us, his students, that diaspora Jews should assume they are emigrating to Israel, barring a compelling reason not to. (He, for his part, emigrated to Israel in 1971 when he assumed his role in Yeshivat Har Etzion.) He asked us to assume we would go on to be Jewish educators, unless there was a compelling reason not to. Rav Aharon’s actual analysis of the Talmud, his innovation, was incredibly simple: he would ask, over and over again, how many different ways we could view a single legal idea; then he would align hundreds of years of Jewish thought with one of these perspectives. From simplicity, an elegant wholeness. With Rav Lichtenstein’s passing, we’ve lost one of the greatest models for bringing God on earth. That’s a tremendous loss. We are Rabbi Yochanan ben Zakai’s students, hoping for that blessing again. Abe Mezrich studied in Yeshivat Har Etzion from 1998 – 2000. This story "For Rav Aharon Lichtenstein, Faith Was Life — and Life Was Act of Faith" was written by Abe Mezrich. 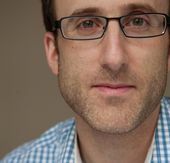 Abe Mezrich is the author of The House at the Center of the World, a book of meditations on Biblical ideas of sacred space from Ben Yehuda Press.